Pillsbury Hot Roll Mix eases new bread bakers into the bread baking process with easy instructions. Comes with all dry ingredients for making dinner rolls. Not convenient for camping or cabin trips. Box comes with all necessary dry ingredients for making rolls and pizza dough. Comes with Red Star Dry Yeast. Box has recipes on it for rolls, pizza dough, and cinnamon rolls. When I first saw the box of Pillsbury Hot Roll Mix sitting on the grocery shelf, I was hesitant over whether this product would interest my readers. After reading through the simple baking instructions, I quickly realized that this was the perfect mix to get newcomers more familiar with using dry yeast. The box comes with the dry ingredients, including yeast, to make either dinner rolls or pizza dough. All that is needed is water, butter or oil, and one egg. To make the cinnamon rolls, which is what I did, you will also need granulated sugar, cinnamon, powdered sugar, milk, and vanilla. The cinnamon rolls that I made with Pillsbury Hot Roll Mix were delicious. They were easy to make because the instructions were clear, and both of my children inhaled the batch in a day. 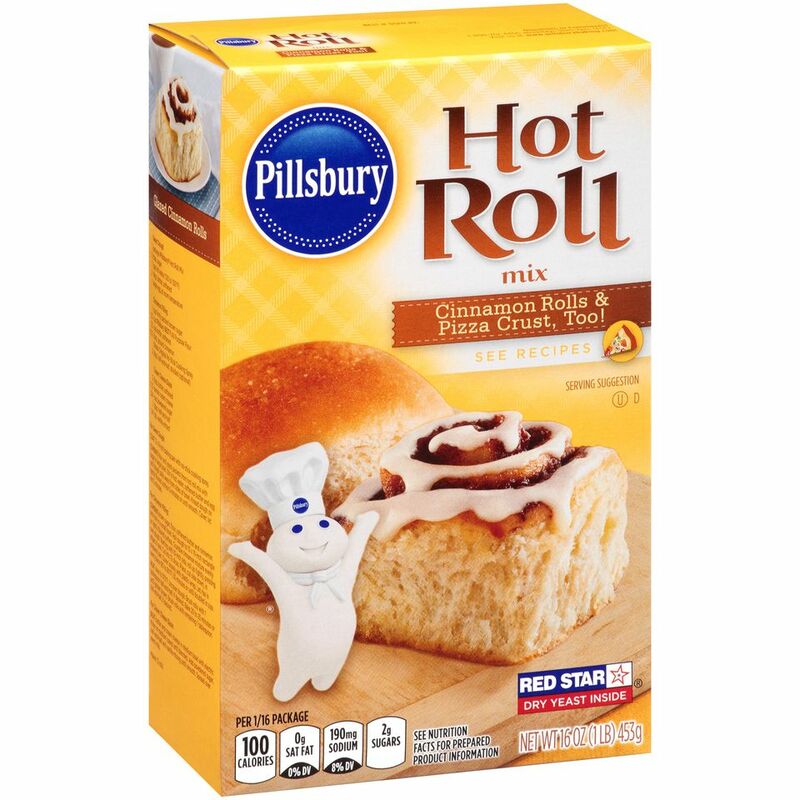 For people just starting to bake but are still uncertain about using yeast, Pillsbury Hot Roll Mix makes yeast use as simple as emptying the packet in the bowl and stirring. Using yeast cannot get any simpler.